‘Tis the season for spotting mistletoe! Not only can you find it hanging from the ceiling, you can also find it high up in the trees. It’s not hard to spot; just look for bunches of green among the bare tree branches. But did you ever wonder — what exactly is mistletoe? Mistletoe is a plant that grows on the branches of shrubs and trees as a parasite. It actually got its name from the ancient Anglo Saxons. 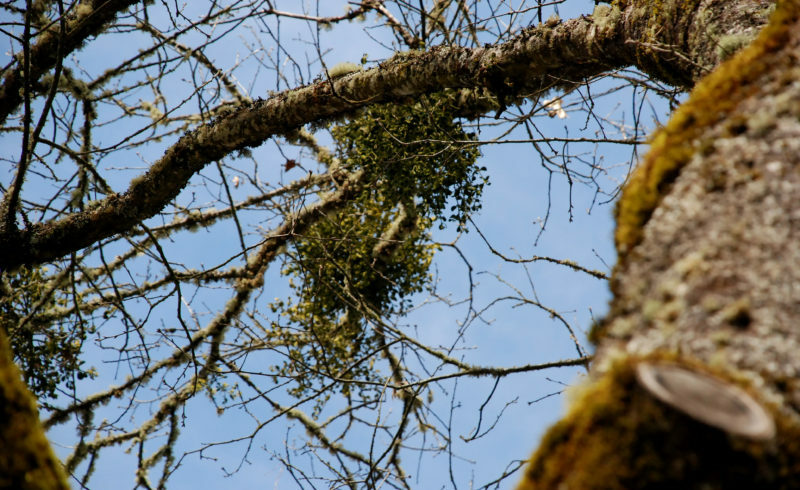 They noticed that mistletoe often grows where birds leave droppings. 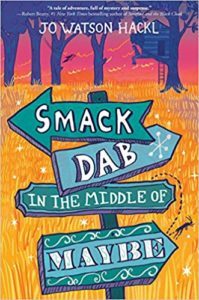 In Anglo-Saxon, “mistel” means “dung” and “tan” means twig. “Mistletoe,” then, is “dung on a twig.” There are 1300 species of mistletoe worldwide, with 30 of them growing in North America. 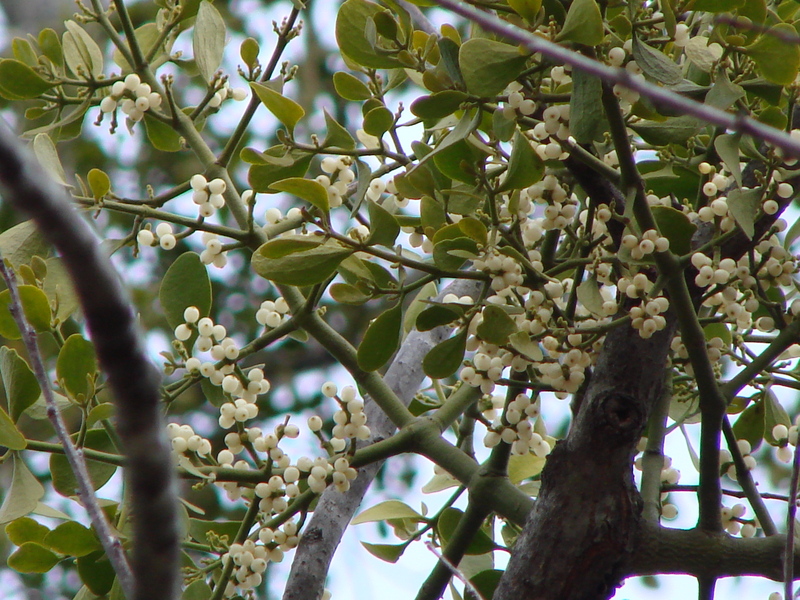 Mistletoe produces white berries that are poisonous to humans and harmful to dogs and cats. 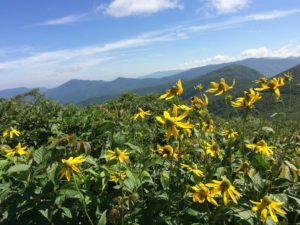 However, these berries are a valuable food source for many wild animals, including deer, elk, squirrels, chipmunks, porcupines, and some birds. The Anglo Saxons were right — the berries and the birds were related. Each berry contains one seed. 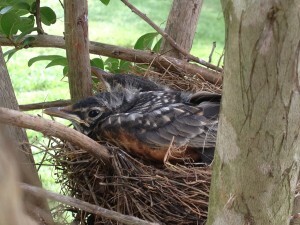 The birds don’t digest the berries, so where the droppings fall, the plant grows. The seeds are dispersed in other ways as well. They are very sticky, so they can also attach to animals and be carried to new areas. Some berries, such as those of the dwarf mistletoe, can also explode. When this happens, they eject the seeds at an average initial speed of 60 miles per hour to scatter them. The seeds can go as far as 50 feet. When a seed lands on a host plant, it sends out roots that draw on the tree’s water and nutrients. 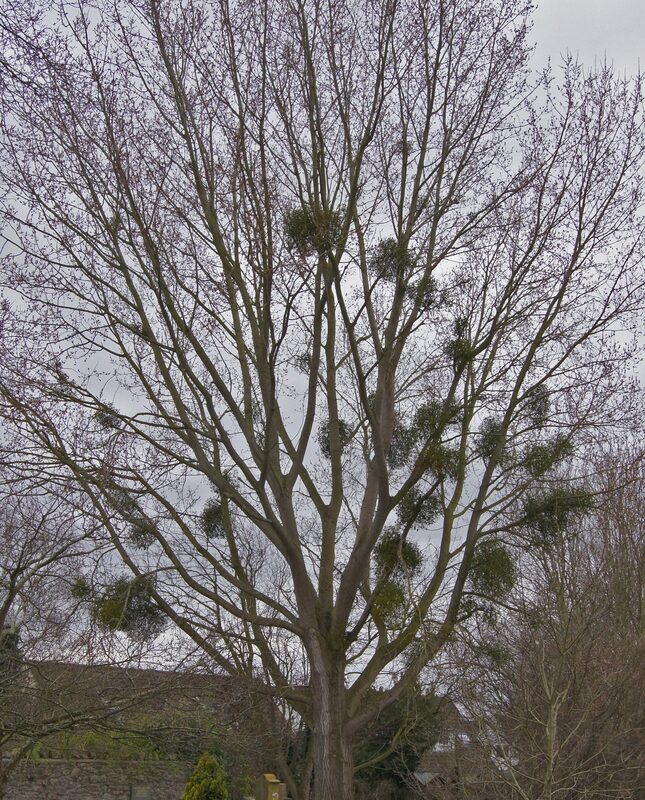 As it grows, the mistletoe becomes a thick, rounded mass of branches and stems, sometimes called a “witch’s broom”. The mass can reach five feet across and weigh as much as 50 pounds. Because of this, trees with mistletoe in their branches tend to die early. But this isn’t necessarily a bad thing. The dead trees are used by nesting birds and other animals. House wrens, mourning doves, nuthatches, chickadees, owls, and hawks have all been found to use mistletoe for nesting, along with several squirrel species. Butterflies such as the great purple hairstreak and the Johnson’s hairstreak lay eggs on mistletoe. So next time you see mistletoe hanging from a string, you’ll know it’s not just a favorite plant of couples — it’s a favorite of wildlife, too!